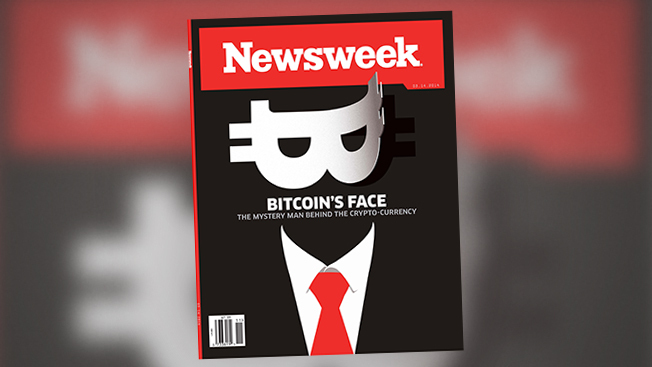 Newsweek returns to newsstands Friday with a small press run (70,000), but it’s hoping to make a big impact with its cover story, which claims to have actually tracked down the elusive Satoshi Nakamoto, the man credited with inventing Bitcoin. As the story goes, Nakamoto doesn’t open up much except to say that he’s not involved in Bitcoin anymore, but senior staff writer Leah McGrath Goodman manages to wring out a nearly 3,400-word profile of the California man, who’s described as rumpled and unkept and living in a modest home, despite having a fortune estimated at $400 million. Readers can be forgiven for having low expectations for Newsweek these days. It’s been hobbled by a string of layoffs, ownership changes and circulation cuts. Its last owner pulled the plug on the print edition at the end of 2012. When new owner IBT Media announced that it was restarting the presses, it set a goal of a 100,000 circulation, a far cry from its circulation peak of 3.3 million. But Impoco has ambitious designs for Newsweek, which he's described as a monthly coming out weekly. Priest + Grace (O, the Oprah Magazine, Condé Nast Portfolio) designed the magazine, which is heavy on the black and red. The magazine is perfect-bound and printed on thick, glossy stock. Adweek got an exclusive first look at the 68-page inaugural issue. The quick front-of-book reads that are the stock in trade of newsweeklies were tossed in favor of full-page photography (“Big Shots”) and medium-length articles. The article mix is provocative and international in scope ("I think being smart is cool," Impoco said). In addition to the Bitcoin feature, there’s a feature by Katrina Brooker on Gen. Stanley McChrystal’s new business venture. Jeff Stein has an article on how China keeps an eye on Tibetan exiles and Janine di Giovanni wrote about women jihadists. Impoco said he took inspiration from the Newsweek of the '80s, when Newsweek had "its scrappiest group of writers and reporters." “There’s not a lot of fluff,” Impoco said. Relaunching a newsweekly magazine may seem like a lark these days, when New York magazine has gone twice-monthly and Time is doubling down on digital (its long-awaited Web relaunch went live Wednesday). But Newsweek's approach doesn't depend on it selling a lot of issues; it’s going after the long tail of die-hard readers that are willing to pay for it, and charging them accordingly—the magazine will cost $7.99 per issue and $149.99 per year for a combined print-digital subscription, which puts Newsweek at the high end of even weekly magazine subscriptions. Advertising will be a small part of the mix; the first issue has just six advertisers (Mazda, Singapore Airlines, All Nippon Airways, Paradies, Seton Hall and Oakland universities).